Life in progress. I'll let you know the ending when I get there. Actually, you can read Revelation 21 for the ending. Psalm 139 covers the beginning; John 3 the new beginning. I'm currently enslaved employed by the University of Football Florida Network Services as a network geek. You got packets? We can forward 'em! suemac has the questionable privelege of being my lawful wedded wife, to have and to hold, etc., etc. We have two high-maintenance daughters, two cats whose thought processes and actions, like Saberhagen's Berzerkers, appear to be governed by the random decay of unstable radioisotopes, and more bicycles than people. 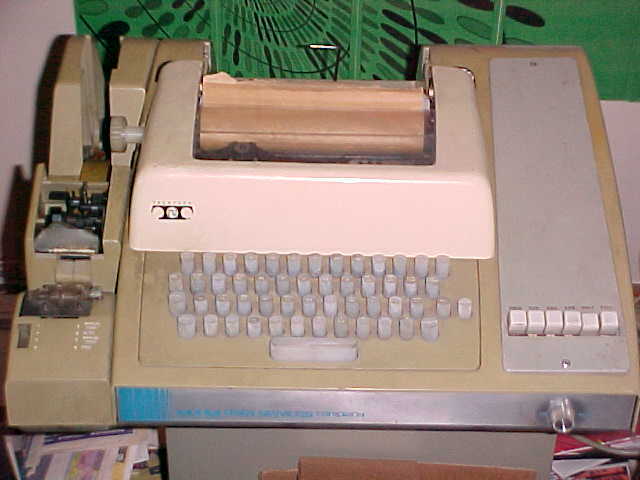 I've been surrounded by computers ever since I was a wee lad, sneaking downstairs to bang on the keyboard of Dad's Teletype ASR33. I did various things with various early personal computers - TRS80s, Ohio Scientific Challengers, etc., through junior high and high school. Summer of 1983 saw my first computer acquisition - a Heathkit H-89 which still runs and which I still use for the occasional game of Adventure, the 550 point version. I've since worked my way through a whole slew of PCs, laptops, palmtops and PDAs. If it has six strings and requires amplification, I'm all over it like stink on a warthog. I'm seriously getting the itch to try my hand at building guitars, which notion probably disturbs suemac. Toward that end (and to achieve some movement on the myriad furniture-building projects suemac has queued up on my "honey-do" list) I'm turning half the garage into a woodworking shop - workbench, table saw, drill press, you know the routine. The latest fine obsession is of course ham radio; not much is keener than filling the ether with RF and chewing the rag with all the OMs and YLs, chasing DX and checking into the nets, particularly when all the antennas are homebuilt. Further updates as circumstances warrant!